Begin to use Affinity Photo like a PRO with confidence. 140 minutes of video content, including explanations of key processing techniques and case videos. Are you new to using Affinity Photo? Or do you want to get more comfortable using it to create professional looking photos? Affinity Photo is a powerful, but also a bit complex photo editing software because it is filled with features. Just like Photoshop. But because it is so powerful and has a tonne of features, it can also be quite a handful to learn to master its features. Therefore I have created this Affinity Photo video course. 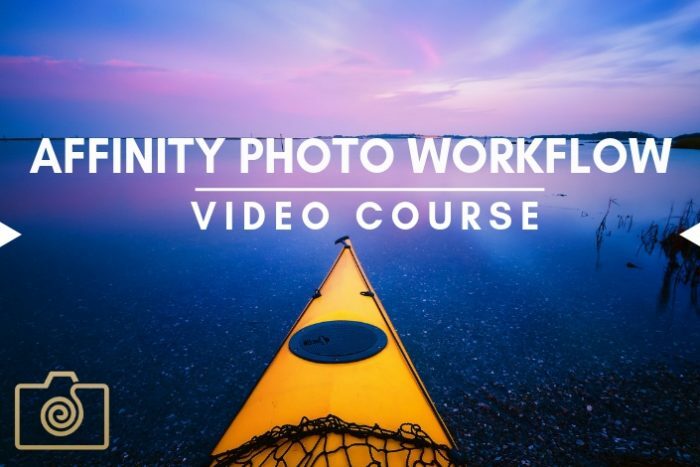 The Affinity Photo video course will help you go from a raw, unedited photo to an amazing professional looking image based on a proven post-processing workflow. This video course for Affinity Photo is designed to help you gain confidence in creating both quick edits and complex and thorough photo editing. In my workflow, I also suggest that you sometimes use Nik Collection plugins, as it does have some areas where it leads to better er results than by doing everything in Affinity Photo. 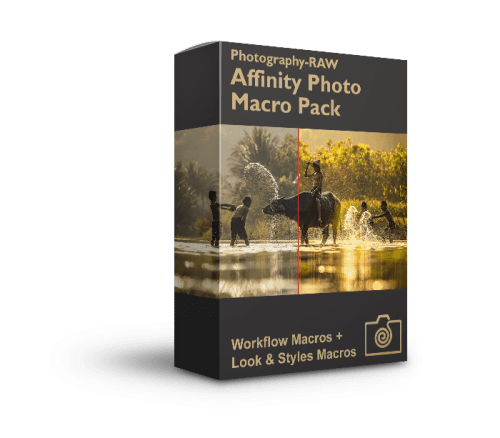 However, I also show you the methods to create a pure Affinity Photo workflow. What Will You Learn In The Video Course for Affinity Photo? In the Affinity Photo video course, you will build and train your post processing skills in Affinity Photo. You will learn about all the necessary tools and features to build a solid and proven workflow in Affinity Photo that suits your style of editing. 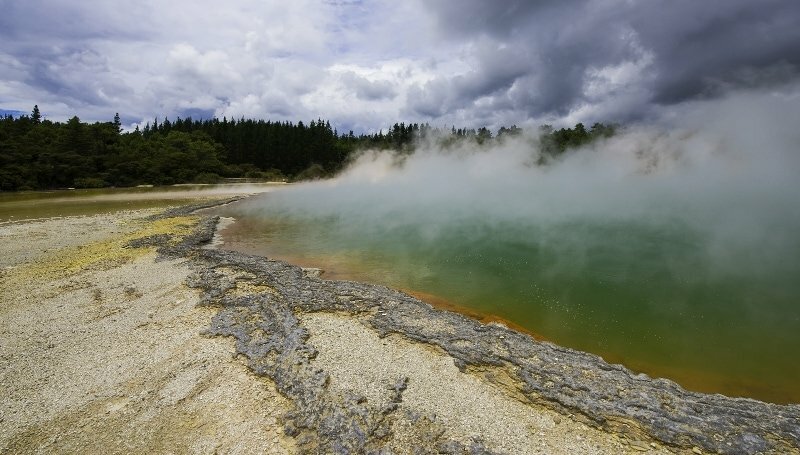 You will learn to process landscape and nature photos in a professional way for amazing results. As you watch this video course and put it into practice, you will gain confidence in using the most essential features of Affinity Photo. This Affinity Photo video course focuses on the tools and features important to master as part of a professional photo-editing workflow, instead of teaching you all the features Affinity Photo offers, but that you will never end up using. You can also choose to watch specific video sections if you feel that you need to know more about specific features and functions in Affinity Photo. When to sharpen your image? Is it done in the beginning as a final step or both? How to handle noise in your image? How to remove spots and unwanted objects in your image? How to work with and master layers, masks, selections, and how these affect and support each other. How to build a professional post-processing workflow in Affinity Photo that you can rely on for all your images. How to dodge and burn the right way? How to sharpen and resize your images, so they look amazing and sharp on the web? How to use plugins like Nik Collection by Google/DXO to improve your workflow. Who Is The Affinity Photo Workflow – Video Course For? This video course on how to use Affinity Photo more professionally is intended for both beginners and intermediate users of Affinity Photo. I am a nature and landscape photographer, so this is my main focus. This shows in both the workflow that I have established and in the case images used in this video course. However, you will still benefit from this course, even though you are not into landscape and nature photography. The principles are the same; you would still apply sharpening, for instance, to your images at the same step in the workflow in a portrait photo or street photos. For some types of photography, you might want to emphasize certain steps and others you might want to finish in a hurry. But the main workflow and the optimal order of the steps you take is still the same. I encourage you to build your own post-processing workflow based on what you learn in these videos. So, if you want to improve your skills in Affinity Photo and learn to process with confidence, this video course is for you. What Is Included In The Affinity Photo Video Course? Besides these videos, you will also get 3 bonus workflow macros specially designed for this video course that will help you create quicker edits. You will, of course, get future updates and new videos added to the course for free. How To View the Video Course After Buying? On the order confirmation page, just click on the download links just below the product name. This will take you to the download page. On the download page, you will find further instructions for downloading the videos. The zip files are placed in the default download folder. Unzip the downloaded files and extract the content to a folder location on your hard drive that you can remember. From there all there is left to do is to select which of the videos you want to watch, by double-clicking on it. It will then open in the default video viewer on your PC or Mac. You will also get an order confirmation mail with a link to the download page. If you prefer, or if you cannot find your confirmation mail, you can also download the files again by logging in to My Account on my website and go to Downloads. Here you will be able to download the video course files again. The course is fully downloadable to any device you prefer. Once you buy the video course, you are allowed 9 attempts to download the course to your computer. You can use the video course on any devices that you own. Sharing the videos with others is, of course, not allowed by any circumstances. A streaming option for this video course might come at a later stage. 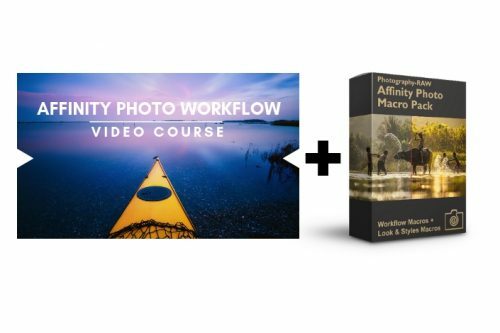 Got questions about this Affinity Photo Video Course? If you have any questions about this product, feel free to write me a message, and I will try to clarify your concerns as soon as possible. I want you to be happy when you buy the Affinity Photo Workflow – Video Course. I’m confident that you will be, and that it will help you become a better photographer. If, you’re not satisfied with the product, please tell me, and I’ll issue a refund for the full amount. No questions asked. Buy Now to begin to improve your post-processing skills using Affinity Photo. Download the Affinity Photo video course, instantly after buying. Just click add to cart above to get started. To benefit from this product you should have Affinity Photo for either Mac or Windows.